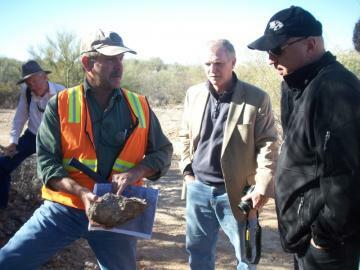 Greg with chief geologist Rod Blakestad at NWM's flagship project. 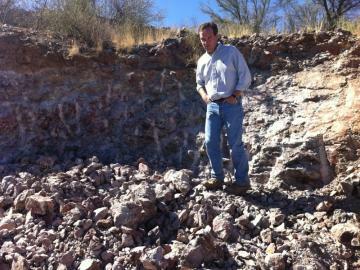 Greg being shown where the potential for an open-pit mine could be built. 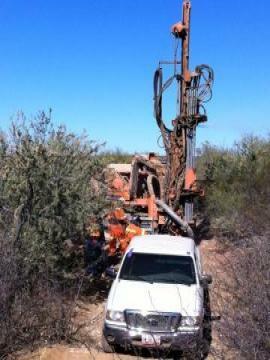 CEO Chris Berlet in a key area of mineralization that comes to the surface. 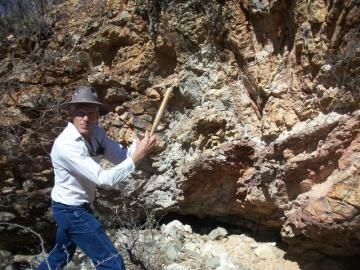 Structural geologist Don White showing us some important outcrop mineralization on the flagship project of NWM. Air track drill that is used for shallow drilling to quickly gain critical data for determing where to place diamond drill holes. 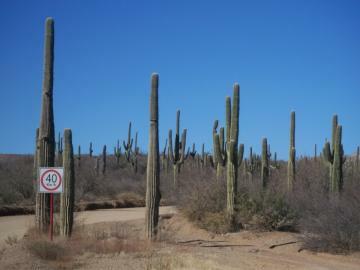 Typical cactus found throughout this area in Mexico. Before a mine can be built most of these cactus will have to be re-planted in a safe area. 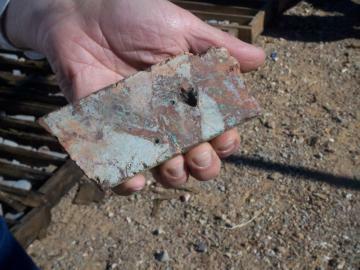 Greg with a piece of drill core that shows plenty of promise. 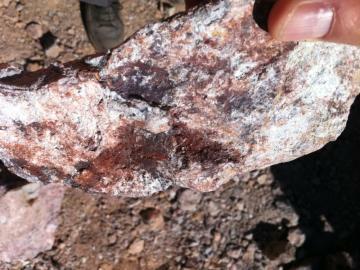 Mineralized rock - the dark red areas hold microscopic gold. 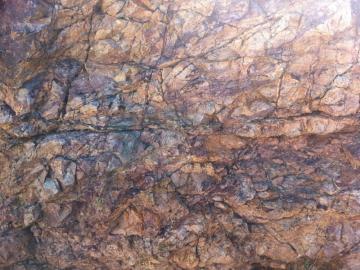 Highly fractured rock that shows multiple precious metal bearing events. The precious metal bearing fluids are forced into any nook or cranny (open spaces). You can see the dark red areas have pushed their way into any cracks that were available when these precious metal bearing fluids were active. 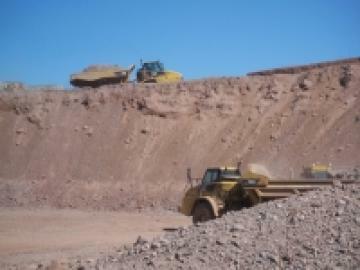 The open-pit mine at NWM's flagship project. 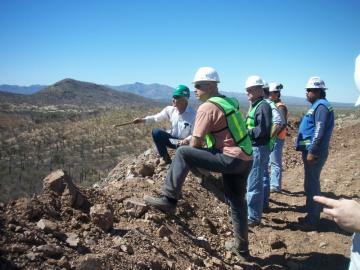 The orange and green lines delineate high and lower grade ores called selective mining to lower cost. 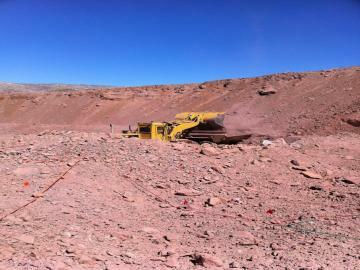 Workers using orange, red and green tape to outline the various grades of ore within the open-pit.